Adult Case Management, also known as Community Psychiatric Supportive Treatment services (CPST), is a collection of services that can assist you and your family. We focus on assisting you in identifying and accessing services such as medical, psychiatric, social, financial, and educational. CPST services are usually long term, ongoing, and designed to make sure that you receive the kind of care and service you need in order to live a more satisfying life. The Life Skills group is an outpatient group treatment program designed to benefit person who experience very intense emotions and is based on Dialectical Behavioral Therapy (DBT). SAMI (Substance Abuse and Mental Illness) Program is designed for individuals struggling with substance abuse and mental health issues. Through this program, we provide assessment and treatment focusing on the unique difficulties encountered by person with both diagnoses. The program is voluntary and short-term for persons 18 and older. 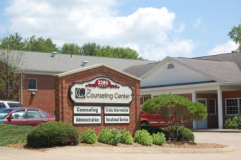 It often works cooperatively with counseling and psychotherapy, community support programs, and psychiatric services.